It’s that time of year when the garden is lobbing bushels of vegetables at us faster than a tennis ball machine. And it means one thing: It’s time for ratatouille. Now, mind you, this is not your traditional ratatouille. Instead of simmering a stew of Provencal vegetables on the stovetop, I’ve thrown eggplant, squash, onions and peppers on the grill until lightly charred, then tossed them with olive oil and fresh herbs. It’s a lighter version that’s very versatile. I like to serve it over couscous, tossed with pasta or spooned on top of grilled garlic bread. If you don’t have a grill, the veggies may be broiled in the oven. You may either roast the tomatoes with the vegetables or toss them in at the end. (If you grill them, thread on pre-soaked bamboo skewers to prevent them from falling through the grates). 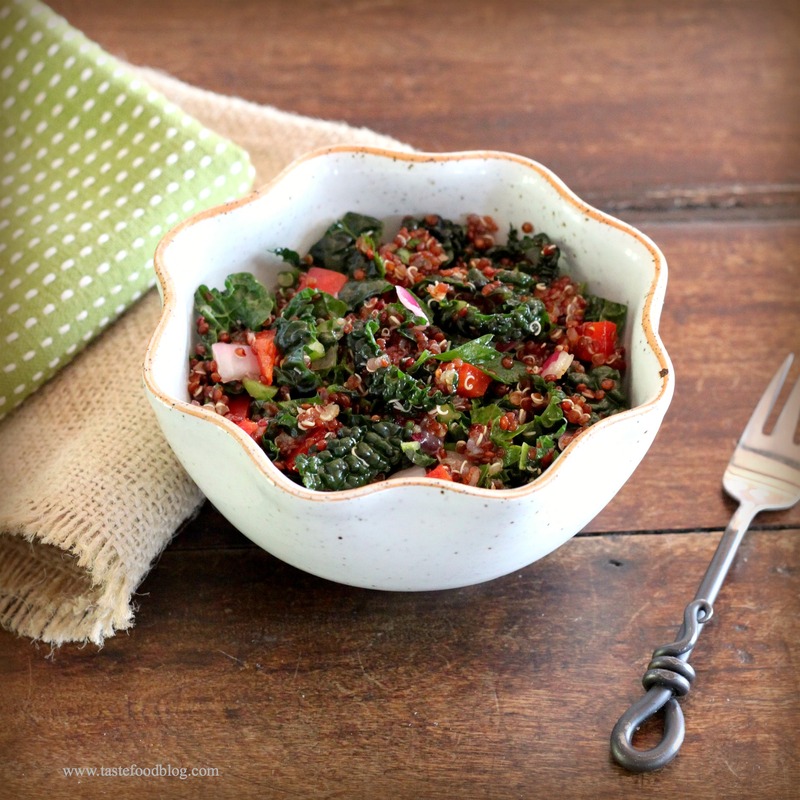 If desired, sprinkle with crumbled feta or goat cheese before serving. Prepare a grill for direct cooking over medium heat. Spread the vegetables on a tray. Brush with olive oil and lightly season with salt and pepper. Grill until lightly charred and cooked to desired doneness, 6 to 10 minutes. Transfer to a plate to cool slightly, about 5 minutes. When cool enough to handle, cut in large chunks. Place in a bowl with tomatoes, garlic, parsley and basil. Gently toss to combine. Taste for seasoning and add more olive oil if desired. Serve warm or at room temperature. Eat your lasagna and have your vegetables too. 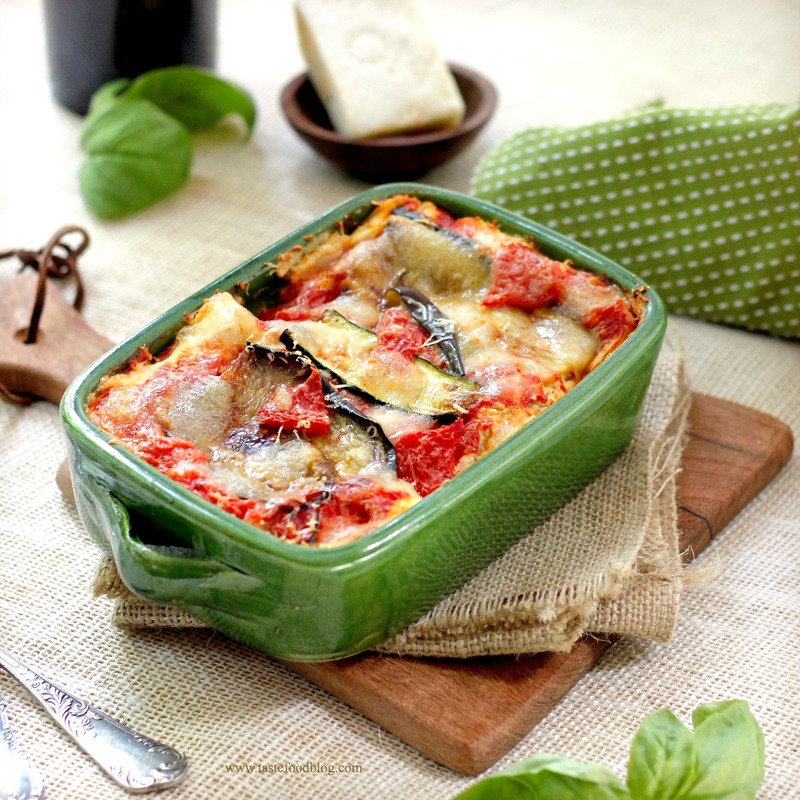 Roasted strips of eggplant, zucchini and red peppers alternate with lasagna sheets in this veggie-enhanced family favorite. No worries, there’s plenty of gooey melted cheese and tomato sauce rippling through this version, the most adamant veggie haters (we won’t point fingers) will be hard pressed to complain. Heat 1 tablespoon oil in a medium saucepan. Add onion; saute until softened, about 3 minutes. Add 2 cloves garlic and red chili flakes; saute until fragrant, about 1 minute. Add tomatoes, oregano, sugar, 1 teaspoon salt, 1/2 teaspoon black pepper. Simmer uncovered 20 minutes, stirring occasionally and breaking up tomatoes with a wooden spoon. Heat oven broiler. Place peppers, cut-side down, in a baking dish. Broil peppers until skin is blistered all over. Transfer to a bowl and cover. Let stand 10 minutes, then peel away skin. Slice peppers in 1/2-inch strips. Generously oil a rimmed baking sheet. Lay eggplant slices in one layer on sheet, turning to coat with oil. Season with salt and pepper. Broil until golden and tender, turning once. Transfer to a plate. Repeat with zucchini slices. Whisk ricotta, egg, 1 clove garlic, 1/2 cup Pecorino, 1/2 teaspoon black pepper in a medium bowl. Heat oven to 350° F (180° C). Spoon a thin layer of sauce in bottom of 8 x 10-inch baking dish or gratin. Place a layer of lasagna sheets over the sauce, breaking them to fit to size as necessary. Smear ricotta over pasta. Arrange eggplant slices over the ricotta. Spoon a little sauce over the eggplant. Sprinkle with Pecorino and scatter some of the mozzarella over. Place another lasagna sheet over the eggplant. Repeat the layering process, substituting the zucchini for the eggplant. Repeat again with the red peppers. Top with the last layer of lasagna pasta. Smear with ricotta. Top with any remaining vegetables. Spoon sauce over and around the vegetables. Sprinkle with a final layer of Pecorino and mozzarella. Bake in oven until thoroughly cooked through and cheese is bubbling, 45 to 55 minutes. Serve warm with basil sprinkled over. It’s Provençal vegetable season. Peppers, eggplants, squash and tomatoes are impossible to miss (and resist) at the farmer’s market. Tables stacked with teetering piles of gypsy, poblano, Hungarian and myriad chile peppers vie for attention, showing off their glorious colors and funky, gnarly shapes. I pass a table of eggplant where shiny black beauties, the sturdy workhorse of the eggplant family, sit proudly with their brethren: skinny, lilac Chinese no thicker than a fat finger, purple and white zebra-striped Sicilian, baby ball-shaped Thai. It’s impossible not to pick up too many, simply because they look so pretty. At home, I fill my refrigerator with as much as I can fit and save the prettiest to display in baskets and bowls on our tables. The challenge is to remember to eat them. Any vegetable that you like to roast will work with this recipe, but it’s especially delicious with late summer veggies. Feel free to mix and match to your taste. I roast the vegetables separately from the salmon (except the leek) so that they won’t absorb too much fish flavor while cooking. Heat oven to 375 F (190 C). Toss eggplant, peppers, tomatoes and garlic in a bowl with 2 tablespoons olive oil, 1 teaspoons salt and 1 teaspoon black pepper. Transfer to a baking dish. 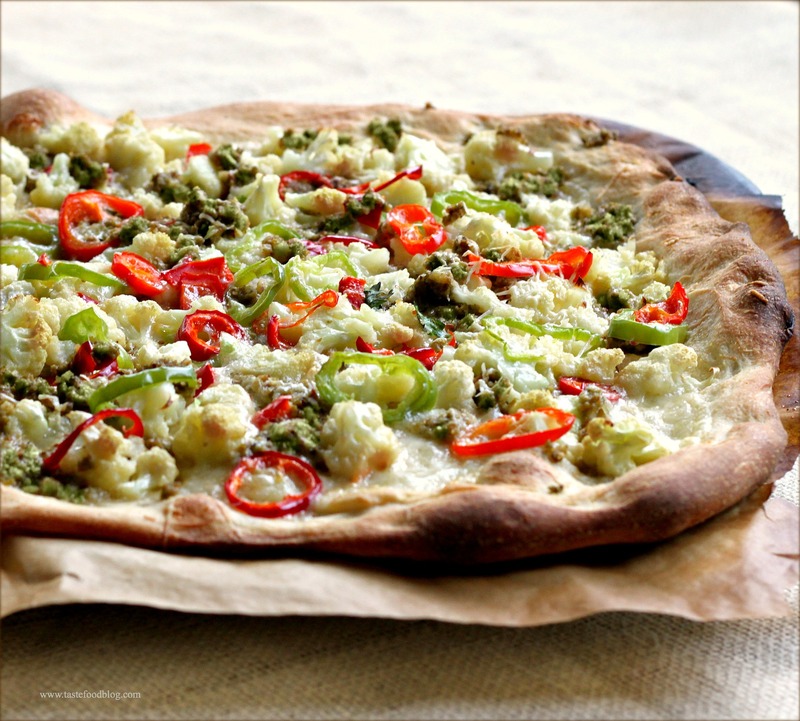 Bake in oven until vegetables are tender and slightly colored, 45 minutes. Place leeks in a rectangular baking dish. Nestle the salmon filets between the leeks. Whisk 2 tablespoons olive oil, 2 tablespoons lemon juice, Sriracha, 1/2 teaspoon salt, 1/2 teaspoon black pepper in a small bowl. Drizzle over fish and leeks. Using your hands, gently turn the fish and leeks to coat. Place in same oven with the vegetables. Bake until salmon is just cooked through and beginning to color on top, about 30 minutes. 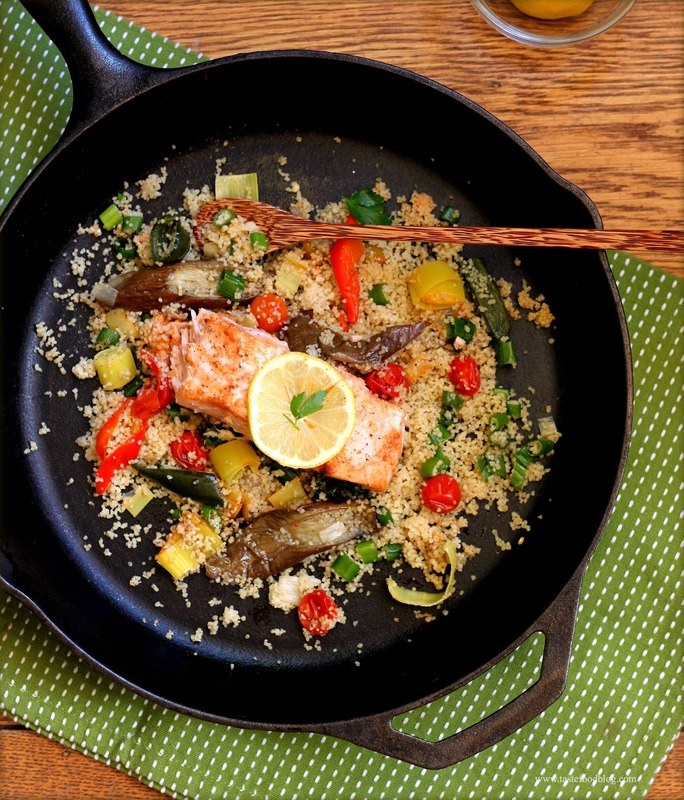 While the salmon is baking, prepare the couscous. 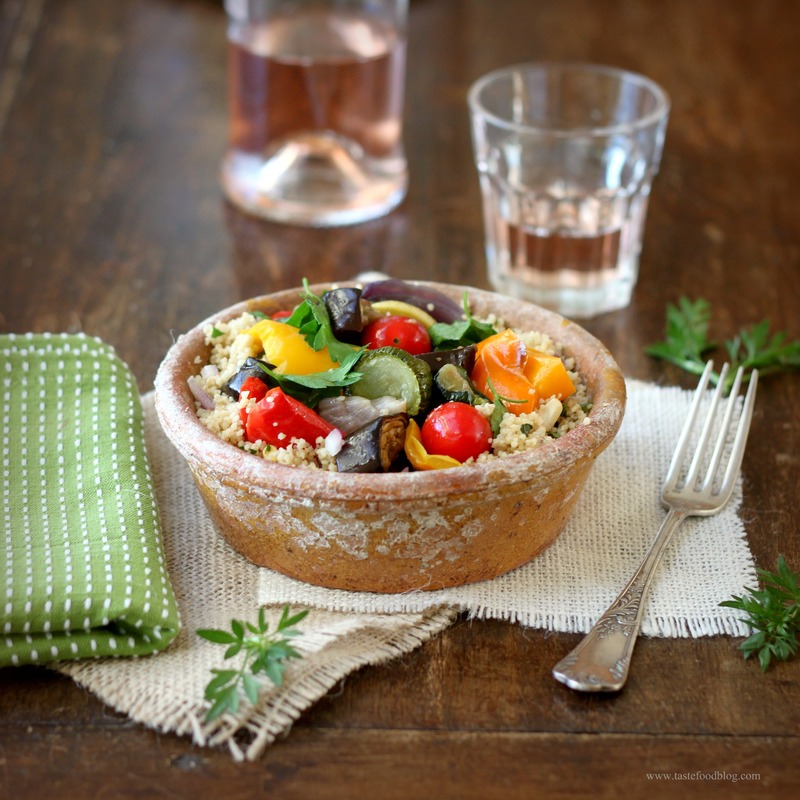 Place couscous in a large bowl. Pour hot water over. Add 1/4 cup lemon juice, 2 tablespoons olive oil, 1 teaspoon salt and 1/2 teaspoon black pepper. Stir once or twice. Cover and set aside until liquid is absorbed and couscous is tender, 10 to 15 minutes. Fluff with fork. Stir in scallions. 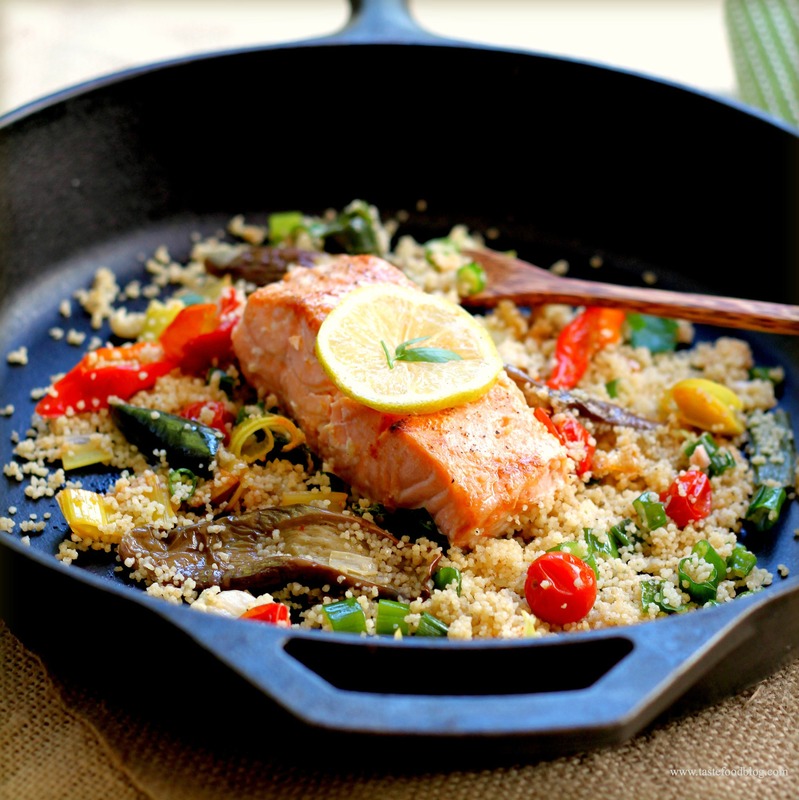 To serve, spoon the couscous onto a large platter or individual serving plates. Sprinkle the roasted vegetables over the couscous. Place the salmon filets in the center and scatter the leeks around the salmon. Garnish with fresh parsley and serve with lemon wedges. At last the rains have come. This means that much-needed snow is finally falling in the mountains, and it also means that it’s perfect weather at home for a stew. January invites slow-cooking and one-pot meals. After the fancy food and hoopla of the holidays, the first month of the new year begets hearty and comforting meals without pretension. This curry is a perfect example. 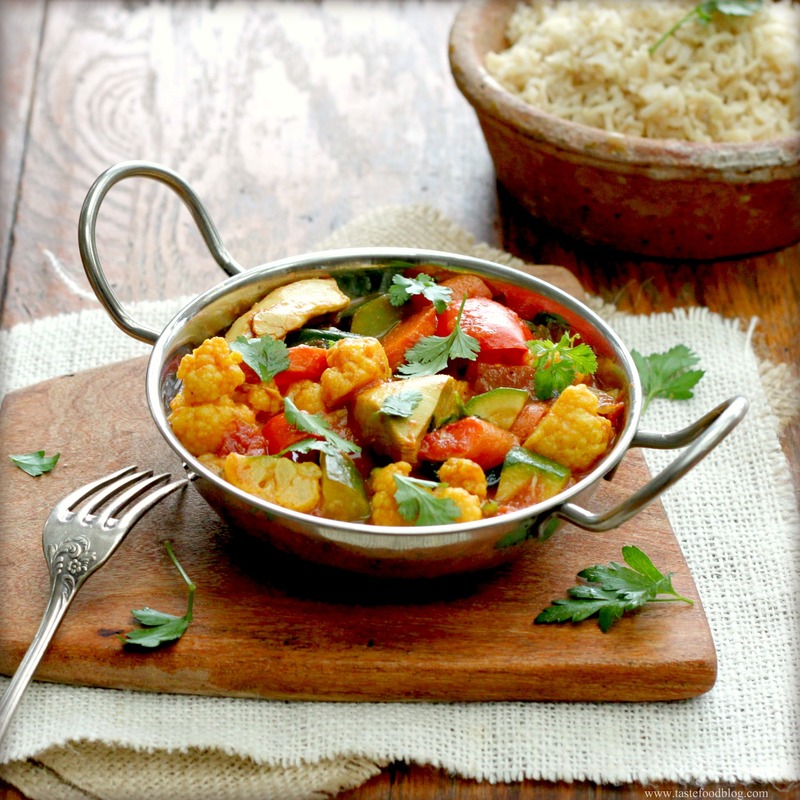 Brimming with vegetables and perfumed with curry, this stew is healthy and light. Its brightness and heat will warm and feed a crowd, while jump-starting any dormant taste buds suffering the winter doldrums. 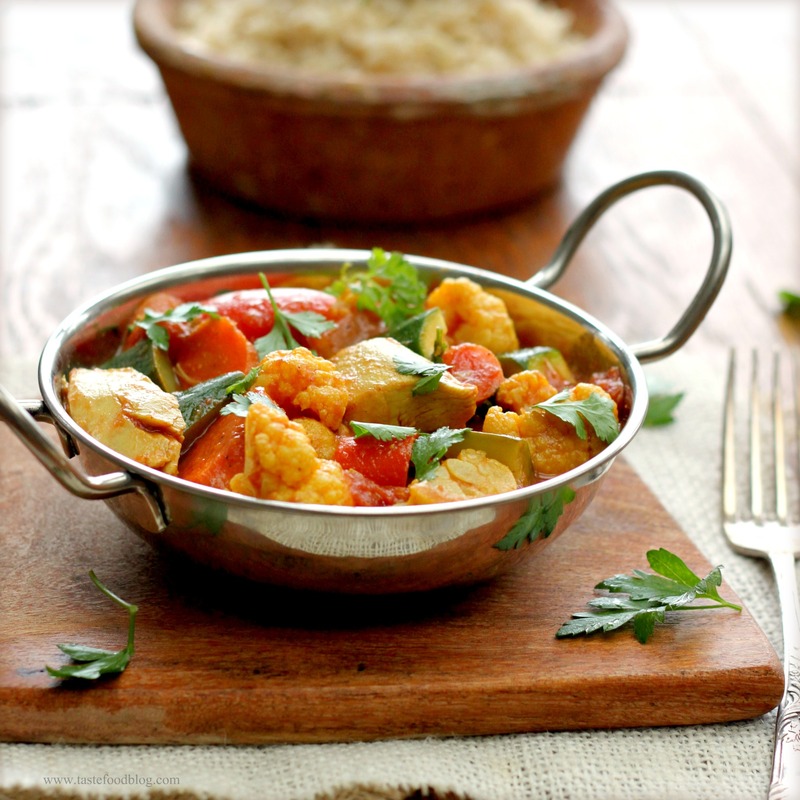 For a richer curry, substitute the chicken stock with 1 – 14 ounce can of coconut milk. Serves 4 – 6. Heat oil in a deep skillet or pot. Add the onion and sauté over medium heat until softened, about 5 minutes. Add the garlic and ginger and sauté until fragrant, 1 minute. Add the curry powder and salt; cook, stirring, 1 minute. Add the carrot, red pepper and cauliflower. Cook, stirring to coat the vegetables with the spices, 2 minutes. Add the tomatoes with juices and chicken stock. The vegetables should be just covered with liquid. If not, add a little more chicken stock. Bring to a simmer, breaking up the tomatoes with a spoon. Stir in the chicken. Simmer, partially covered, until chicken is thoroughly cooked through and the vegetables are tender, about 15 minutes. Taste for seasoning. If needed, add 1-2 teaspoons of brown sugar. Serve hot with basmati rice. Garnish with fresh cilantro. Consider this as a deconstructed ratatouille – which happens to be oven roasted. The same cast of characters applies, only the method differs. An end of summer symphony of squash, eggplant, peppers and tomatoes are tossed together with olive oil and roasted in the oven until softened and gently charred, instead of simmered and thickened in a pot. 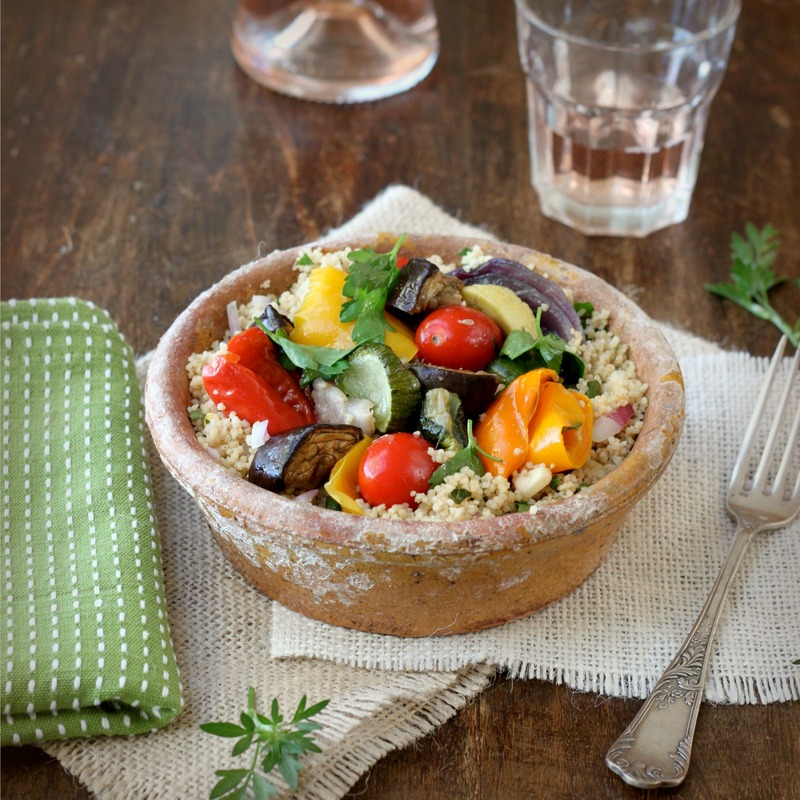 The traditional ratatouille stew morphs into a roasted vegetable salad, freshened with a shower of fresh herbs and served over a bed of couscous for a light and healthy meal. You may either roast the tomatoes with the vegetables or toss them in at the end for extra freshness. 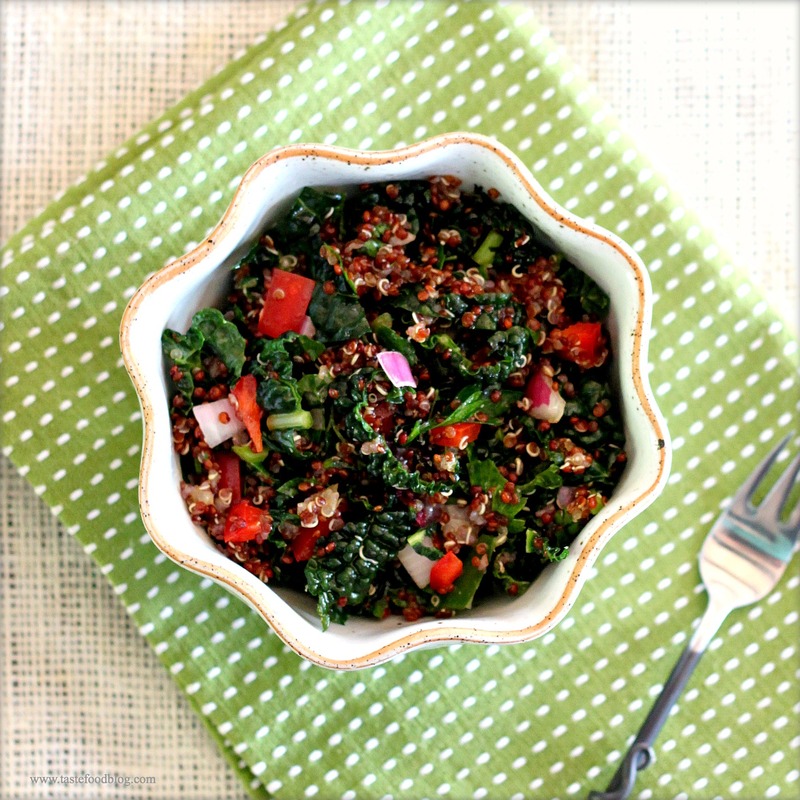 The salad is delicious as is or served over couscous, pasta, or quinoa. Serves 4 -6. Heat oven to 375 F. (190 C.) Place all of the eggplant, zucchini, squash and onion in a large bowl. Drizzle with olive oil. Sprinkle with 2 teaspoons salt and 1 teaspoon freshly ground black pepper. Toss to coat. Arrange on 2 rimmed baking sheets in one layer. Place in oven. Bake until vegetables are tender and turning golden brown, rotating baking pans, to ensure even roasting. Remove from oven and cool. Transfer vegetables to a large bowl. Add tomatoes, garlic and fresh herbs. Toss. Season to taste with additional salt and pepper. Serve over couscous. Sprinkle with crumbled cheese if using.